By the time I got to Klenová the party had already started so I put up my tent quickly and run uphill to grab some dinner. I shared table with two fun Norwegians who are doing a similar route to mine and shared some important need to knows about life and Scandi women (don’t worry I’ll keep your secret!). One of them has postponed his wedding in order to be able to complete the rally, how cool is that? There were also some jugglers who left us open-mouthed with their spectacular fire show, but unfortunately my camera’s battery had drained by then. I’m sure their mum was always telling them off for playing with fire; guys it was worth it! 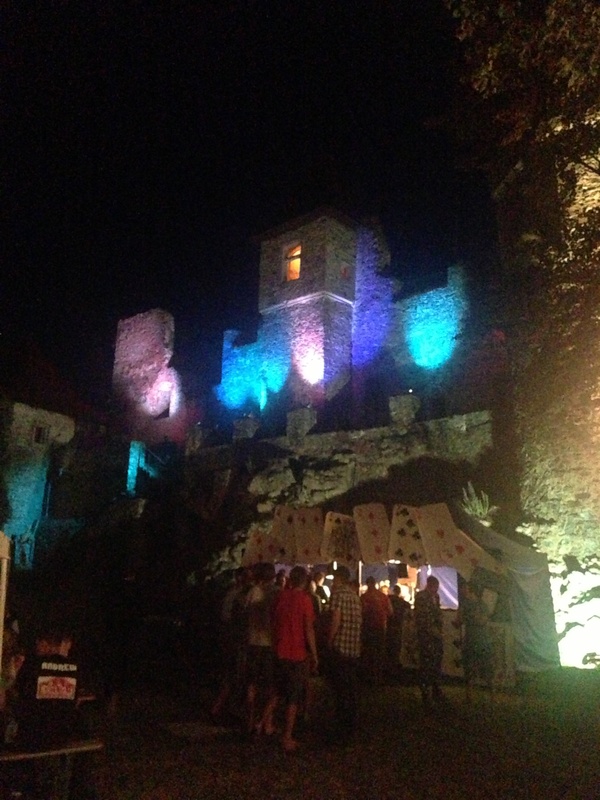 The party in the castle ended around 12am and continued in the campsite until 6:30am or so. I didn’t stay up until very late as I had some proper driving to do the day after, but managed to meet the team from La Rioja who shared a “bota de vino” by their bonfire, and namesake José from Cáceres who already tried to make it to Mongolia a couple of years ago but got arrested in Kazakhstan because his visa expired while waiting for a friend, had to spend the night in prison and has been forbidden entry for 5 years (no kidding). Thanks for your tips on how to deal with police, have a safe trip through Russia and see you in Ulaanbataar! This is going to come handy! After a hearty breakfast and learning some cool places I would visit today, I brushed my teeth (remember, it’s important to do it at least 3 times a day, and I can tell some of you don’t! ), prepared the car, and went to see the European award ceremony… but got bored after a while and decided to leave with most of the teams who had met in Bodiam Castle. The biggest man in Czech Rep.